Privacy is such a fickle concept — and doubly so, online. Many of us are quite happy to share what we ate for dinner (Instagram), where we’re going on holiday (Facebook), when we got a promotion (LinkedIn), or even how we feel about delicate issues (Twitter). Conversely, we go to the ends of the earth to protect and insure our physical possessions; to fend off any dangers or insecurities that might befall our beloved TV, car, or iPhone. Yet, when discussing the prospect of merging the two — the idea of protecting our digital property and identity — most of us willingly remain in the dark. At least, many were happy not to think about our privacy until earlier this year, when the advent of the EU General Data Protection Regulation forced us to contemplate the issue. From having no concept — or potentially care — about how or where our digital data was being stored, we were suddenly encouraged to track it down and eliminate it. The issue is real. In the past few weeks alone, as many as 50 million Facebook accounts were endangered as part of its latest data breach. Its latest! And that’s in a domain where people actively cast their privacy aside. The scarier prospect is what scammers and hackers can do with your data. The more severe consequences include financial theft, involvement in malicious ad campaigns, and even stolen identities. What if your digital footprint is not just leaving clues about who you are, but virtually encouraging fraudsters and criminals to walk right into your life? Well, the world is waking up from its collective ignorance — but where to start? It’s all well and good to start taking an interest in personal privacy. A run through the privacy settings of your social accounts won’t take long. And then the apps: Uber, Netflix, Amazon. Ah yes, other stores too — everywhere you’ve ever shopped. Everywhere you’ve ever gamed, procrastinated, banked, downloaded music, dated…this is getting tough. The seemingly impossible task of regaining control over our own online security is now vital, though, and so Kaspersky Lab’s incubator came up with the Privacy Audit Web service. It’s a smart advocate, and it’s incredibly easy to use. Launched first for the UK, the Privacy Audit discovers exactly what’s out there about its users. The audit is actually quite cathartic. Honest. 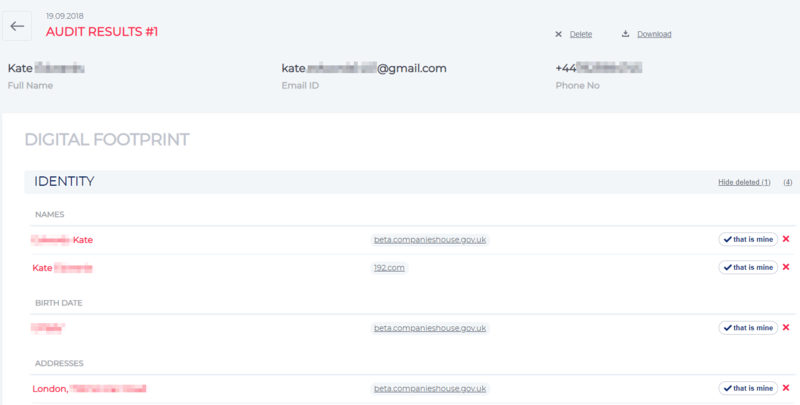 Click Launch new audit and enter a few simple details, and the automated console becomes a one-stop shop for managing your personal data and learning about the websites and resources that hold your data — and their degree of personal privacy. The Privacy Audit scans an extensive list of indexed online sources, analyzes the relevant ones, and returns the required information over the course of 24 hours. Users can track the progress of the audit using a progress bar on the console. Did you know that your date of birth, address, e-mail and other things that are supposed to be private can actually be found in the public domain? You can’t escape the truth, and the Privacy Audit shows you your true digital footprint — warts and all. 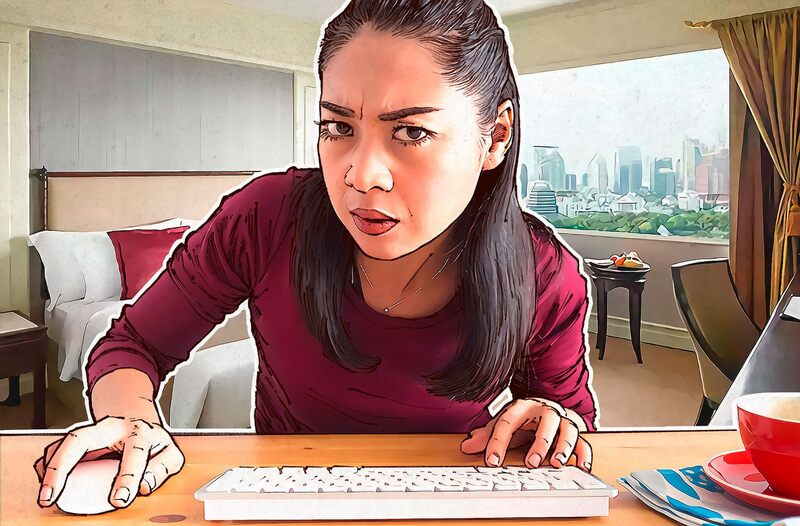 Seeing it can be a shock initially, but ultimately, to protect yourself from scammers and hackers, you need to know what others can see about you, your identity, and your assets. The Privacy Audit’s results are impressively accurate. It finds and dissects each user’s data, and if it’s unsure, it’ll ask you to validate whether data is about you or not. Its algorithms also counteract challenges such as namesakes and spelling errors; and, most important given its function, it operates with complete respect for people’s privacy and never collects personal data. Once that mirror’s been held up, users have 15 days to analyze the information before — of course — choosing whether to save or delete the report. We live in a world where data leaks happen on a daily basis. Because of that, it’s a good idea to minimize the amount of your personal data that all these web services store by requesting to delete it. This will be the next feature of Privacy Audit: the services will generate automatic responses to companies for users’ data deletion. Privacy Audit is the brainchild of the Business Incubator team at Kaspersky Lab, which chose the UK for such a solution because of its role as the nucleus of the global English-speaking community; its strict personal data protection regulations; the population’s concern over privacy; and, finally, the reason for such concerns: the high-profile personal data leaks that have occurred in the country in recent years. Citing September’s British Airways hack as a prime example — as many as 380,000 payments were implicated in this breach — the team’s mission is to help people maintain privacy in the modern tech-based world, and to fight the uncontrolled spread of users’ personal data across the Web.